Advice to seniors – how helpful is it? What are the dominant themes of advice to seniors? Keep active! Eat right! Get a good night’s rest! Be positive! Have a purpose! Save your money! I am somewhat cynical about all the advice streaming at seniors of which I am one. First of all the advice-givers have little idea about what constitutes a senior and a lot of this advice targets or perhaps more accurately spreads to people anywhere from 55 onwards. There are vast differences between young seniors, middle-aged seniors and senior-seniors and the variations in-between. Take inclinations to travel by seniors, for example. Young seniors are hard to distinguish from their even younger counterparts. Many have lots of energy for moving around, hiking, camping, and dealing with the deprivation of camping out, for example. This younger group, aged 55 to 65, also have money or can take financial risks because they are still earning and at a higher pay than earlier on. The 65 to 78 year olds are a different kettle of fish when it comes to travel. They vary a lot in ability and energy level. Trips which require less physical energy suit them better. They are more budget conscious and may need to take into account some kind of ailment slowing them down. They still enjoy travel but express concerns about cost and insurance. They run ‘what if’ scenarios in their minds but still look forward to the boat or bus tour in a far away place. Then you have another growing demographic of people age 79 and on until their end. Almost everyone in this group is struggling with pain or a minor or major disability. They react more slowly. This is the group that may still like to travel but, because of cancer, heart issues and other debilitating illnesses have to think about ‘what if’. Many things can happen, and travel insurance companies know this and reflect it in their policies, making travel impossible for some because of cost or because they can’t get insurance. Traveling closer to home or no travel becomes a common backup. Advising all seniors as if they are just one group is not very helpful. For example, suppose we are all walking on a continuous moving sidewalk like you find at the airport. At first and for many years you don’t even use the moving walkway, preferring to go faster or keep fitter, by avoiding them. Then you begin using it, but walk quickly nudging your way past others. Then there comes a time when you appreciate the rest – no walking. – perhaps giving the painful back or knee a rest. Then you get to the stage where you would rather be in one of those airport people carriers. As seniors, 55 to the end, we are all in the seniors space but our needs differ hugely as we age . Advice-givers push us to participate in life through exercise or routines which are no longer p ossible for many. 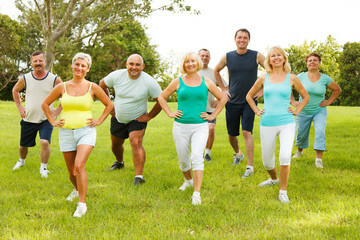 There are many programs purported to help you live longer and happier . But each of us is different and we know that we have limits. We might be able to follow some of the recommendations and it may help us live better. Being a senior is an ambiguous time with a large number of losses and times of grief. Many of us in our careers have experienced the loss of moving on from one job to another, or even the loss experienced by moving up the corporate ladder which often cuts you off from valued friendships where you worked before. We lose money sometimes through bad real estate or investment decisions which you didn’t think were bad at the time. Family grows up – another loss of the times when your child or children were there to share life together. A good result is for your children to move on and create and live their own lives, not necessarily cut off from family, but no longer there in the day to day sharing. But being a senior brings even greater and deeper losses. Of course, everyone is different, and we all cope in our own way with these losses. Many people just deny any problems or concerns with changes happening to them or around them. But these same people show their sense of loss in their behavior, or depression or emotions. What kind of losses are the most common as we move into the senior years. Work eventually comes to an end and for many it has been the dominant reason for being. Maybe it doesn’t have to end or can be strung out with part-time work or consulting. But it is an area of major unresolved grief particularly for many men. Women less so, because their lives have had other components that they can continue to engage after they retire such as attention to family, activity with friends, and even maintenance of a home. Men share in this increasingly, but women appear to be better at making the adjustment into becoming a senior. What other losses do seniors encounter and at what stages do they encounter them? There is much crossover from stage to stage, age to age, because of the variability in people. The people who advise us, don’t take this into account enough, in my view. They tell everyone to get out there and exercise. But this is not helpful advice for many people whose health dictates limits to what they can do. This can lead to the opposite effect to what the advisor wants to accomplish. Instead of inspiring people to become more active, he or she makes them feel less worthwhile or deficient in some way because their body is simply not up to all the recommended activity. But even people who are able to follow this advice, they may not chose to or want to. Is this their loss? There are many people, and they are all around us, who have activities of body or mind that don’t include pushing themselves to be more fit. As I write out these thoughts, I am reminded that I could be on the treadmill or out for a walk. But actually I prefer to do what I am doing. If I am not fit, it is claimed, I will be more prone to health problems, even an earlier death. But I may have some things I like to do that take time and my kind of energy. This is my choice. It might even be to be passively watching TV or a movie, or pursuing low energy but very interesting puzzles or games I do myself, or in competition with others. Seniors, as they grow older, generally become less able to do what they once were able to do. Take a typical day. A younger person at work, at home with family, in leisure pursuits, in social activities or “doing good,” often has the energy to do it all, while a senior much less so. The senior needs to pick his places of interest and they become narrower and narrower with each advancing decade or in the very advanced age, year by year, or month by month. There are always exceptions, and unfortunately it is the exceptional person who seems to be able to keep everything going at fever pitch well into his advanced and senior years, who is pointed out as the example for all seniors. Why can’t you all be like this guy or gal? We can’t. Maybe we don’t want to. 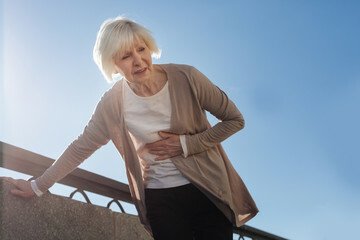 Health issues increase with age from one nagging issue to multiple issues facing a person, some of which can be very serious and even life threatening. People generally don’t want to die. Again there are exceptions. But even the person living in the poorest of circumstances and maybe with problems with drugs, alcohol or cigarettes, or addicted to gambling, still wants to keep on living to some normal end. 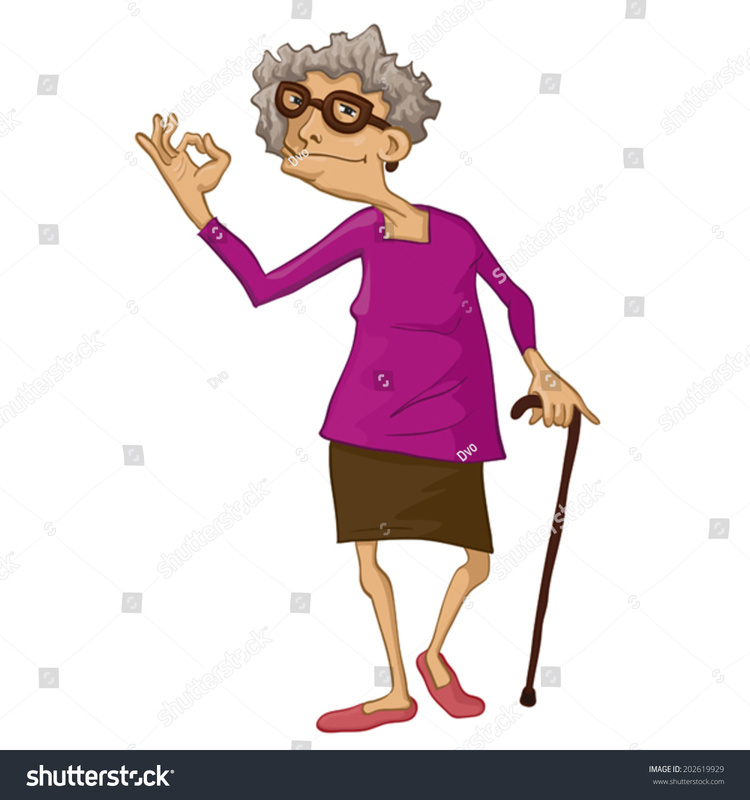 The advice giver, particularly the exercise pusher, doesn’t understand, or chooses not to, that many seniors, progressively, have aches and pains; problems with knees, hips and shoulders, and feel frustrated by their lack of ability to engage in activities they previously enjoyed. This can be a major source of grief. For myself, I wonder if I can go on a hike with my grandson this summer with my knee being in such bad shape. People suffer the loss of treasured activities as aging takes its toll. If I was advising seniors, as a senior, I would take this general approach. First, I would get rid of the words “advise” and “advice.” This rings too much of telling someone what they should do. We can be friends with –or listen to, – ask questions, or reflect on what the other person has said. No one changes because you tell them what to do. Second, Perhaps I will share different experiences, and maybe we can share these with each other. But this also presents its own difficulties – too much story-telling; going on-and-on; boring the other person through endless talk. Third. Even to seniors, it does become tiresome to continually talk about ailments, which typically are top of mind with seniors. This is a dilemma. You can’t deny the obvious and the real need many people have to express their worries about health, whether physical or mental. But on the other hand, such discussions end up, for the most part, being circular and you end up where you began. Nevertheless something you suggest or that is suggested to you, might actually be helpful and useful. Fourth. Reflection can be healing. (But remember the trap of going on-and-on.) Recalling past experiences, triumphs, and joys can remind a person that he or she has had an interesting life. Helping someone to think more broadly about earlier experiences can be a good thing. The danger: that the person is tied to negative experiences that he or she keeps reiterating. This is not helpful, but the opposite. Fifth. 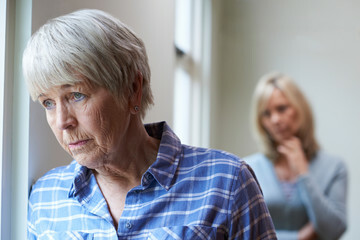 Talking about tragedy can be difficult, but some seniors get better at it, and by helping or allowing, or encouraging a person to talk about a tragic event, or their own death, can be positive. We are not alone. We are all on the ship of life together, and personally suffer very many of the same great losses and grief, and we have fun and laughter which add to our strength to be more fully alive. Sixth. As a senior in contact with other seniors, I have the opportunity to observe, and from this observation, I can be helpful. A person who is obviously “down in the dumps” can be helped by someone acknowledging this with them, and leaving open the opportunity for the person to deny it. But sometimes such an observation will open the floodgates of words and emotion, which you would not otherwise know about. Others may observe my behavior or emotion, and comment on them. I now know a bit more about how I am presenting myself to the world – maybe I don’t like it. We can talk about it. Seventh. I need to live in the moment, and encourage others to do the same. There is nothing more precious than what is happening right now. I am alive to observe it. You can’t judge it, at that moment. I have lots of regrets from the past and anxieties about the future, but “right now” everything is good and in its place. My bit of advice to those who would advise seniors, is to back off. Each one of us is an individual living his or her life uniquely and for the most part, the only advice that really counts is the advice one gives oneself from one’s own reflection and thought. I have had the opportunity to visit seniors’ apartments or residences. These are typically housing the oldest group of seniors. Many are modern with excellent space, good meals, and a wealth of other activities the senior can take part in. They have moved from regimented times for meals, to more flexibility, and less structure so, for example, you can sit wherever you wish in the common eating area. There is a recognition that some people are going to decline physically and/or mentally while living in a seniors’ facility, and provision is made for people to transition into facilities within the same complex where they can get more attention and care. One staff problem often seen in these same seniors’ homes for the very elderly is the demeaning way that staff will deal with the residents. A person who was an equal with others is now addressed by a staff member as “dearie,” or “love” or they are patted on the shoulder or made to understand and feel that they are old and weak, and need to be treated like children once again. Some seniors strike back at this by requesting to not be addressed in this way, or touched in a condescending way. 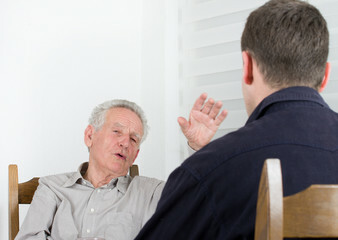 Not understanding the reaction they set up in their older client, the staff take offence at the suggestion that their approach is inappropriate and unprofessional. Discrimination against older people is very widespread. They are considered to be accident prone on the highway, and inflexible and unable to learn new technologies. Their health is thought to be marginal even when it is not. They are thought to have lost their keenness in speech and how they behave. One view of the nature of prejudice asserts that the prejudiced person spots a problem with a person in a group (like the elderly) they are biased against, and generalizes this deficiency to all in that group. On the other hand, when they see behavior by someone in that group which doesn’t match with their bias, they consider it to be an exception believing their prejudice to be the dominant truth. The Bottom Line: older people differ a lot one from another in their capabilities and level of decline. They need to be treated individually, and not force-fitted into a category or categories due to their age. Advice, counsel, and help for an elderly person should be in keeping with his or her want or need. In the case of the very elderly – many will need support to move around and carry out the basics of life. 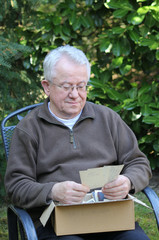 People in middle stages of old age can still enjoy and participate in much of what the world has to offer. They should be left to figure things out for themselves or to seek out the advice they need. Self-help and help from within their own group works better than institutional care. 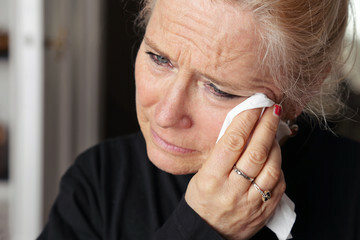 People in early stages of old age have to come to terms with the many losses including decline in health and physical ability, job loss, family losses (“the good times are gone; it’s time to be movin’ on”), and declining interest in the changes taking place in society. The good ti mes were the old times. People who purport to tell seniors what they need to do to improve their life should do a lot more research before pushing out their advice. Who is a senior? Why is he or she any different than the rest of society? What have you got to teach them? 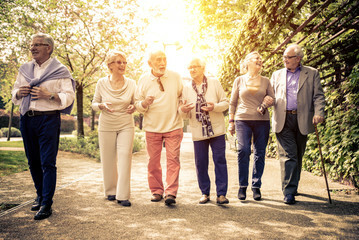 Don’t turn your efforts of advising seniors on making life better into a list of common and universal ways that seniors can improve their lives. There are no common ways; each must figure it out, and seek out counsel when they need it. All of the information above is subjective and based on the author’s personal thoughts and conclusions from experience and observation. There is no specific research or data to back up the views and opinions expressed. Average Retirement age in Canada is 63.6 years and the Median 64.1 years. Public Sector employees retire about three years earlier than Private Sector employees and self-employed people retire later, on average at age 68.